No clever name for this one. I was going to go with Milk Steak Stout becasue of the added lactose but it was too obscure of a Philly reference to go with so I decided to just call it what it is. On Sunday July 11th I purchased the all my ingredients through Main Street Homebrew Supply Co.. Something came up so I put my yeast and hops in the refrigerator. The other ingredients would keep for a while in my cool house. I decided to finally brew on Wednesday the 14th of that week. 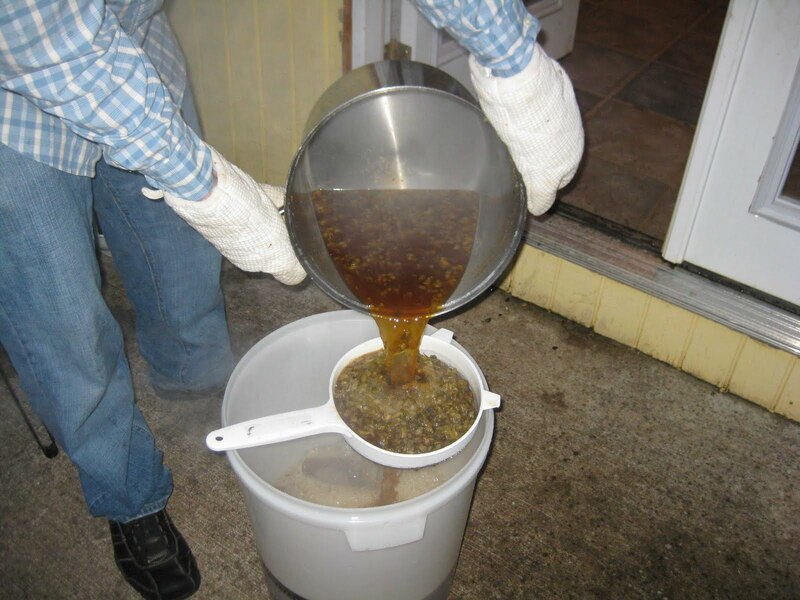 Unfortunately I couldnt find the camera but you should know what the brewing process looks like, it was a pretty standard malt extract brew. I placed the specialty grains into a nylon bag, since there were several pounds I had to use two grain bags, and began to heat the water. Once the water reached 180°F I removed the bag and squeezed as much of the water as I could out of the bags. The after the boil began I added hops according to the following schedule. After the boil is when I tried out the wort chiller I had purchased earlier that day. The only time I had used a wort chiller before was the first time I brewed, but that was several years ago and did not remember the intricacies. All in all it worked fine it took longer that it should have because, forgetting basic thermodynamics, I did not stir the wort to increase convective heat transfer for the first 5-10 minutes. After I remembered to stir the wort was near pitching temperature. When I strained the hops from the wort it was more difficult that I thought it would be. I believe that this is because the wort had cooled and was no longer as viscous and because it's just a thick beer to begin with. Eventually, it was all poured into the fermentation vessel and water poured over the hops rinsing the wort and bring it to 5 gallons. After pitching the wort, the tub lid was placed on, aerated, and sealed with an airlock. I placed it in the brewing closet and there it waits for either secondary or kegging, depending on if I decide I'm rich enough to expand my kegerator. If not I will have to bottle but that is 2-4 weeks away so I have time to decide. Welcome to the Future. Beer- fetching robot completes your life. Willow Garage has modified thier PR2 robot to have a beer retrieving application. You can check out a short writeup describing the project at their website. The PR2 has many other applications they have given it from plugging itself in to charge to playing pool. They have also created a web interface that is accessible from a computer on their network. The video below demonstrates how it can take multiple orders and return with up to four different beers in an insulated holder at its base. Check out the video to see this masterpiece in action. I just learned that the Discovery Channel is going to be creating a tv show about brewing beer. Aptly named "BREWED." Sam Calagione, of Dogfish Head fame, will be hosting this show about what it takes to get that beverage from the field to your hands and the rich brewing culture behind it. A must watch for any beer enthusiast.